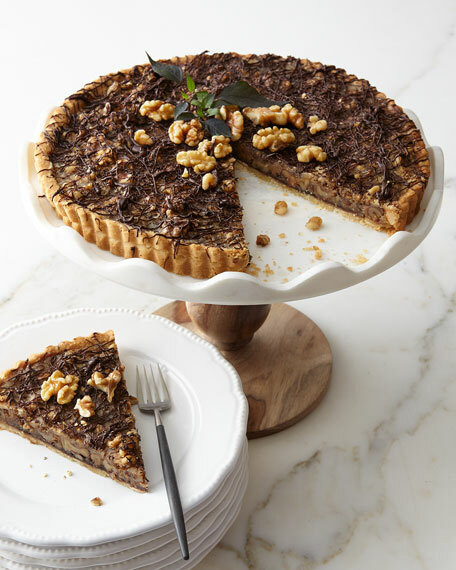 Walnuts and cream are caramelized, baked in a shortbread crust, and then drizzled with imported dark chocolate. Garnish added as inspiration for your own presentation. 10.5"Dia. x 1"T. Serves 10-12.